In this book, Dr. Francis Collins, who is presently the director of the National Institutes of Health – the primary organizing and funding agency for biomedical and public health research in the United States and former director of the Human Genome Project (HGP) – presents a first-person account of his “spiritual” journey from agnosticism to protestant Christianity through his life’s work as a physician-geneticist. Much of his academic life was spent on the HGP and, accordingly, much of the book educates the reader on the significance and findings of the HGP and how genetics’ and genomics’ knowledge informs his theology. Most prominently, a major portion of the book involves Dr. Collins’ working out for the reader of how faith, albeit a principally theistic and Christian religious worldview, and the theory of evolution can be harmonized in light of discoveries of genetic and genomic science. Dr. Collins later followed up this book with another book that takes us into the practical medical applications of the HGP, The Language of Life: DNA and the Revolution in Personalised Medicine (Profile Books, 2010), and an anthology that builds on his religion-related themes, Belief: Readings on the Reason for Faith (Harper Collins, 2010). Since the book has been out for over a decade, there have been several extant book reviews available in the academic and public domain. Because of Dr. Collins’ two aforementioned subsequent books, it is hard to author a review that breaks new ground, and it is particularly difficult to treat this book’s ideas in isolation. Consequently, in this review, I will provide an overview of the questions Dr. Collins tries to resolve and his posited solutions. I will then discuss how these questions and responses are pertinent for Muslim scholars engaging in theological and ethico-legal discourse over genetic/genomic sciences and technologies. There are many ways to hold fast to the findings of science while believing in God. For example, some like the late Stephan Jay Gould advocated that God and science have separate “non-overlapping magisteria” which do not impinge on one another’s dominion. Others adhere to faith where science fails, a so-called “God of the gaps” phenomenon, where God’s activities explain what science cannot. Still, others adhere to a deist view where God does not interfere with the world. While Collins finds all of these approaches to be flawed, his own positions seem to draw on all of these perspectives. Indeed, it is not entirely clear where and how his views offer new alternatives. For example, Dr. Collins states that “science's domain is to explore nature. God's domain is in the spiritual world, a realm not possible to explore with the tools and language of science”, evidencing a sort of Gouldian view, yet he states that the spiritual realms “must be examined with the heart, the mind, and the soul.” It is unclear whether by the terms ‘mind’ and ‘soul’ he is referring to the human psyche or consciousness, or other parts of the human that interact with both realms. If the mind and soul can interrogate other realms of knowledge, then how exactly does that lead to understandings of the corporeal, and why would the scientific method (a product of the mind) be unable to interrogate metaphysical beliefs? It is clear that Collins envisions God to be a personal God acting upon the world. While he insists science can explain human development and the cosmos, he maintains a role for divine action. For example, he states that “The Big Bang cries out for a divine explanation. It forces the conclusion that nature had a defined beginning. I cannot see how nature could have created itself. Only a supernatural force that is outside of space and time could have done that.” Dr. Collins takes a similar approach to the micro-level, claiming that there is no scientific explanation for DNA. In other words, the structure and functioning of DNA provides evidence for God’s handiwork. In such explanations, Dr. Collins veers close to a “God of the gaps” position where God explains what science cannot (yet), and to an Intelligent Design position where the complexity of nature begets belief in God. Nonetheless, he emphatically and rightfully states that “a ‘God of the gaps’ approach has all too often done a disservice to religion (and by implication, to God, if that's possible). Faith that places God in the gaps of current understanding about the natural world may be headed for crisis if advances in science subsequently fill those gaps.” Therefore, while Dr. Collins insists his views do not fall with any of these camps, it appears that his views share much in common with them. One of the most important evidences he marshals for God’s existence is the presence and yearning for “Moral Law.” Dr. Collins holds the belief that humanity’s search for, and appreciation of, the “Moral Law” is proof of The Divine. By Moral Law, Dr. Collins means a variety of things, from acting out the virtue of selflessness to universally shared morals and principles of ethics. Thus, the fact that we can make common morality arguments suggests that God put within us a compass that turns towards His vision for the moral life. Similarly, Dr. Collins recounts experiences that people have yearning for a connection with something greater than oneself and of bliss when appreciating art and music. These experiences evidence a need for spirituality, a need for God that has placed within humanity. In addition, Dr. Collins argues that evolutionary biology cannot fully explain the presence of morals that are shared across culture, time and space, nor acts of selflessness (for these have no evolutionary advantage). I do agree that a recognizable and mostly shared internal moral compass is an intriguing facet of humanity and may evidence that we are all equidistant from God and His creation. Indeed, many religions agree that such a compass is a signal from God, yet a religious tradition must ground itself in more evidence than this for it appears to be human intuition is a weak foundation upon which to establish God’s existence. Dr. Collins spends a major portion of his book discussing evolution, and how to reconcile faith in the era of the incontrovertible scientific evidence for evolution. His intricate knowledge of genetics allows for a masterful engagement with the science behind evolution and for his critique of the various viewpoints. He categorizes the various camps into four groups: (i) Those who reject or marginalize religious arguments on the topic (atheists and agnostics); (ii) Creationists who hold fast to a literal interpretation of the Bible’s creation story; (iii) Intelligent Design advocates who assert divine action at critical moments and where science is not definitive about human evolution; and (iv) BioLogos, or theistic evolution, adherents such as himself who accept scientific claims about evolution but maintain a role for God in the world. Obviously, Dr. Collins’ schema betrays his intimate concern with Christian adherents, but he notes that any believer in a personal God must choose one of these four positions. His solution to the question of evolution from a religious perspective, the BioLogos, has several principal assertions. For one, it wholly agrees with evolutionary science and holds that humans share a common ancestor with the great apes, and that the universe came into being 14 billion years ago as the geological record suggests. At the same time, Dr. Collins’ schema argues that God created humans as He lit the spark that set off the Big Bang, created the precise conditions for life to appear on earth and made the Earth hospital to humanity, and that the existence of the Moral Law and search for God that marks all human cultures defies evolutionary explanation and point to God’s existence and care for us. To him, such a position harmonizes faith and science; all of the scientific claims about human origin through evolution are accepted as is God’s purposeful action to create life and His call to humanity to search for Him. While the BioLogos position arises out of troubles Christians may have in interpreting the Bible, e.g. the creation story in Genesis, the position does offer a theology, a certain view of God that can cross religious divides. At the same time, I wonder why other religious groups who do not share the same creation story, or have different hermeneutical strategies to their religious texts, or have different epistemic frameworks of science, are beholden to the BioLogos view, or even to trying to reconcile the scientific claims of Darwin with scripture? I would wager that each religious tradition must first resolve their own theology about God, explanations of divine action, and epistemic weight accorded to scientific knowledge, and then venture into their own particular responses to scientific claims about the age of the earth or the origin of Life. Nonetheless, Dr. Collins’ work breaks new ground by carefully describing the different arguments over evolution, the scientific evidence for evolutionary processes, and by offering a “new” way to reconcile faith with science. 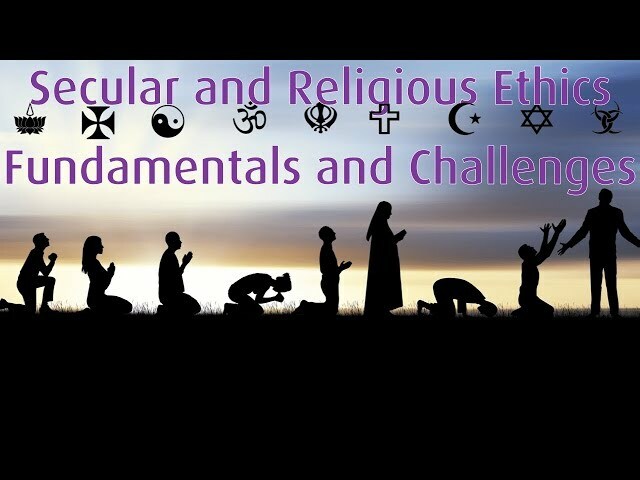 Dr. Collins’ book addresses questions that are of pertinence to individuals of all faiths, as it engages with questions about religious interpretation and our understanding of the world around us. His scientific account is an accurate one, and the questions he tries to resolve are ones that impress upon the religious adherents worldwide. Hence, it is important for Muslim thinkers to consider how they might respond to the theological questions and epistemic quandaries Dr. Collins’ struggles with from within their own frameworks. In what follows, I note some of the more overarching questions that Muslims should consider. What is the evidence, within nature, for God’s existence? There have been many tomes written by Muslim scholars, medieval and modern, on the signs of God in creation, e.g. Chance or Creation? God's Design in the Universe by al-Jahiz. Like al-Jahiz, these writers find the balance, perfection, and complexity of the natural world to indicate the presence of a Master Designer who intimately configures creation. A related gender, albeit more apologetic, is represented by writings on the miracles of the Qur’an (i‘jaz al-Quran), where thinkers argue that the discoveries of modern science were foretold in by the Qur’an. 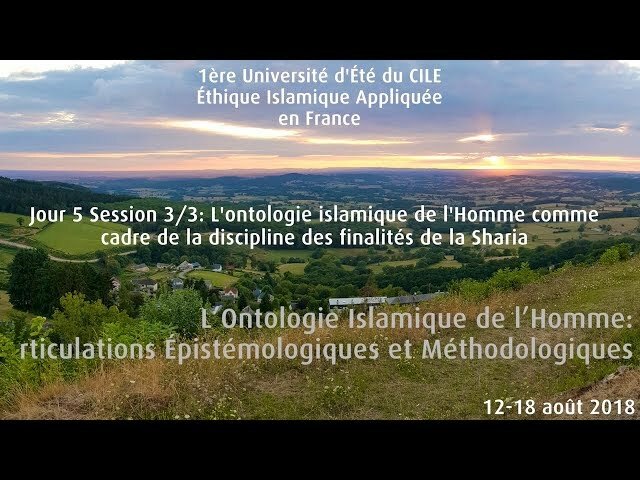 This genre has been roundly critiqued by scholars and academics alike for it is hermetically selective and makes the Qur’an subservient to constantly-changing scientific explanations of the universe. In any case, it would seem that Muslim scholars both scientists and theologians need to work out where evidence for God exists within creation in light of modern scientific advancements in genomic science. What are the proofs for God in creation? In other words, what is an Islamic version of natural theology? What is the origin of humankind? This question addresses tensions between scientific explanations, e.g. evolution, and scriptural evidence for Divine creation. It also gets at the central epistemic concern of how the claims of science are balanced against scripturally-derived theological positions. How certain is science and how certain are we on the interpretations of scholars? What is the hierarchy of the sciences? Dr. Collins’ central concern is this question, and it would be important for Islamic scholars, to carefully weigh and understand the evidence for evolution and craft their positions on the issue. Again, medieval scholars, such as al-Jahiz and Ibn al-Qayyim, mused on such issues in light of the science of their day, contemporary scholars would benefit from mining these writings and bringing them into conversation with contemporary scientific understandings. Is there conflict between the claims of science and the claims of faith? How does one interpret scripture? These two questions are intimately connected to the preceding questions. 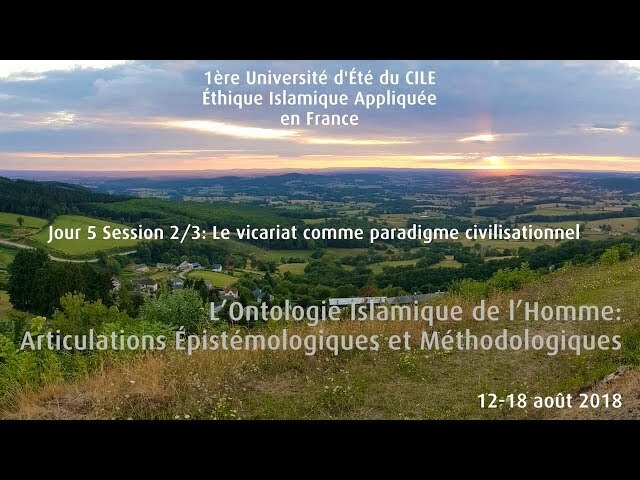 The first inquires about Islamic epistemology and the second about Qur’anic hermeneutics. Resolving perceived tensions between religion and science demands a cohesive and cogent epistemic theory that links with a method of interpreting the Qur’an, e.g. when is a metaphorical interpretation privileged over a literal one. To address the questions Dr. Collins’ book raises, Islamic scholars must define at the outset their approach based on these Islamic disciplines. 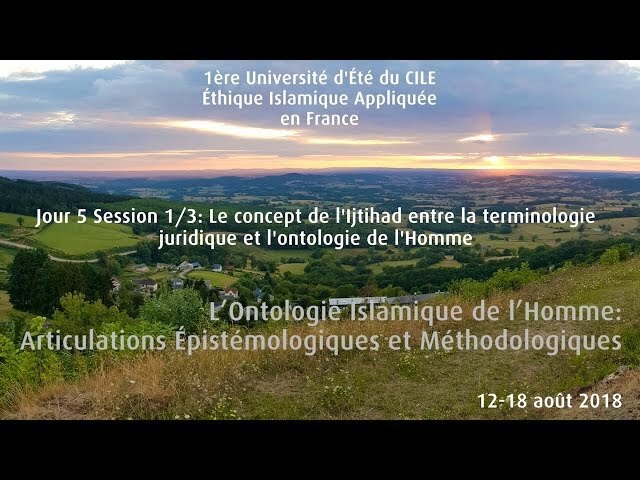 Does Islamic ethico-legal theory align with common morality frameworks? Dr. Collins considers the human predilection and knowledge of “moral law” to be a sign of God’s connection to humankind. In the appendix, he uses common morality-type arguments to plot out a bioethics for genetic/genomic applications. Does the Islamic tradition value such arguments, and also believe in common morality frameworks? 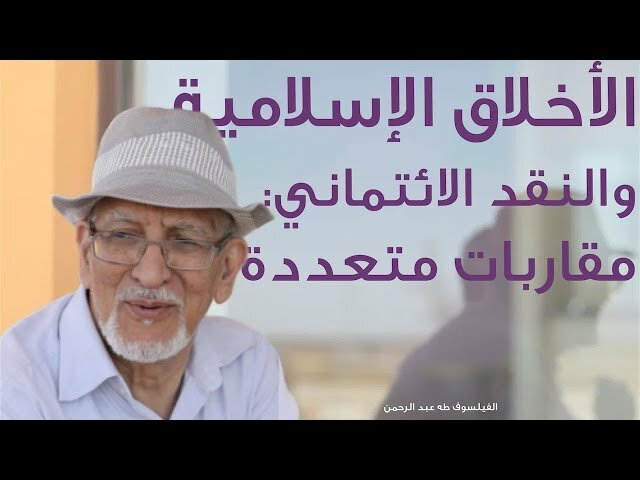 Indeed, Islamic theologians dealt with questions about the moral value ascribed to human natural disposition, the fitra state, and whether acts are good and righteous because God labelled them as so. Is it because of an internal quality of the act? Such discussions were part and parcel of the theological debates over good and evil and influenced the development of the various Islamic schools of law and theology. 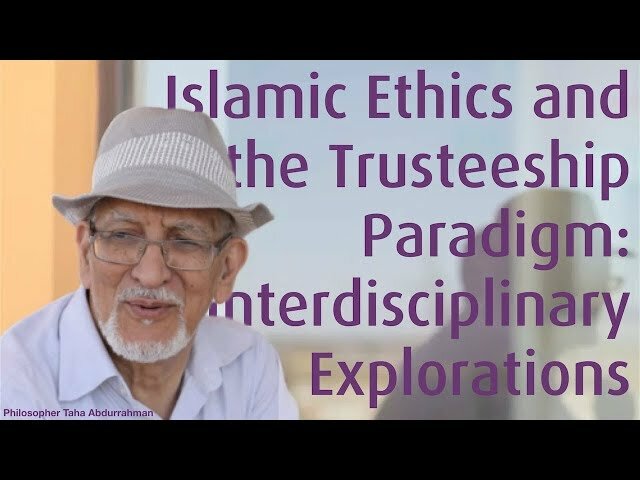 In the present era, transnational law and bioethics frameworks draw upon common morality arguments, and it is important for Islamic scholars to weigh in on whether and how such arguments align with traditional Islamic moral theology. In closing, The Language of God: a Scientist Presents Evidence for Belief by Francis S. Collins is a fascinating read. It demystifies the theory of evolution and the science of genetics for the reader and it presents an earnest attempt, by a renowned and well-respected biomedical scientist, to harmonize belief in God with the findings of science. It calls upon religious adherents to critically examine their own views about evolution and why they believe in God and thus is of broad benefit.